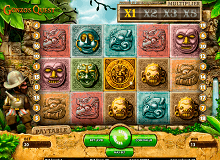 Gonzo’s Quest slot is loosely based on the famous historical character of Gonzallo Pizarro, a conquistador from Spain who set out to the far reaches of Central America in his pursuit of the lost city of ElDorado. Eldorado is said to be a city of gold lost in the depths of the jungles that no one has been able to find till date. Gamblers will be assisting our hero Gonzo as he wades his way through different clues in order to find the treasure and the city of riches that is Eldorado. Finders keepers right? Gonzo’s Quest starts off with a small animated introduction about the game. This is particularly useful for gamblers who may not be familiar with the history of Eldorado and who Gonzo actually was. 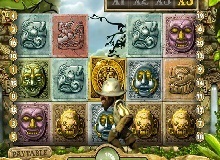 Once you have established the identity of our hero, it is time to uncover some secrets of the jungle. The background of Gonzo’s Quest has been set within the lost jungles of Central America with a faint glimpse of the city of Eldorado. There are stone carvings on both sides of the reels that and our hero Gonzo standing over one side with a map of the lost city in his hand. The music perfectly complements the adventure spirit of our hero. In terms of symbols, there are detailed stone carvings of humans as well as animals on a square stone. These come in different colours like pink, tan, purple, gold, green, grey etc. Scatters: Gonzo’s quest has a free fall symbol as scatters. Wilds: The wild symbol denoted by the question mark icon and can replace all the other symbols except for bonus and scatters. Free Spins: Get three or more of the fall symbol anywhere on the payline to trigger the free spins feature. Gamblers can get up to 10 free spins triggering this round. The free fall symbols need to appear in succession, and this has to start from the leftmost reel in order to qualify for free spins feature. This comes with a multiplier of 3X, 6X, 9X as well as 15X. Avalanche Feature: Netent’s slot comes with a popular feature. This means that every time a player lands a winning combination, the symbols automatically explode and are then replaced with new symbols. This means you have potential chances of creating more winning combinations. 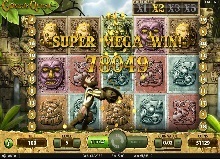 One can play Gonzo’s quest slot machine online on both their smartphones as well as PC’s. The game is compatible with all devices including iOS, Android, Windows and Blackberry phones. A good strategy to follow whilst playing Gonzo’s Quest game is to keep your eyes peeled out for the avalanche feature and capitalize on the same as much as you can. This is the key to winning big wins in the slot. Apart from that, there are no cheats or rules to follow within Gonzo’s Quest free title. Gamblers can play Gonzo’s Quest for real money and for free on a number of casinos online. 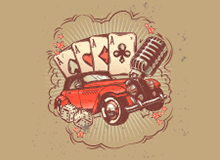 Many online casinos even provide free money credits and welcome bonuses to get new players on their portal. This is a low volatility title that can give you small wins frequently rather than a big win all at once. Being a non-progressive slot, this game will still appeal to both amateurs and experts on account of its graphics and smooth gameplay.